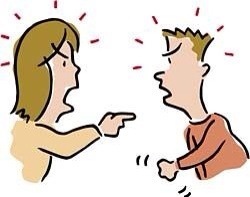 Weekly Spiritual Digest: Stop Quarreling! How can a verse, so short and simple, carry so much weight and power over human logic? This is what I said to myself, when I read this verse. For the past week my patience has been tested (more than once) by the quarrels I had with unruly and unkind people–which in most cases I had to hold my tongue. It always amazes me how the same people, who advocate love and friendship, also practice discourteous behavior. However, I am reminded, by this verse, on just how precious God’s wisdom is–and an excuse why not to quarrel with anyone now. All of us desire to be Kings and Queens on the mountaintop, in every quarrel. But remember that God is the King of Kings and ruler of the earth–and the mountaintop is his footstool. Previous Sunday Praise: Espiritu Santo, Ven Sobre Mi!